Terminal printer TP-822 with dot matrix head realizes versatile installation possibility - you can put it on the counter vertically or horizontally, or even on the wall! Upside -down printing mode will make perfect vertical installation. 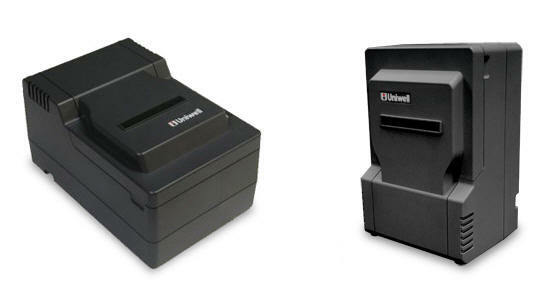 Kitchen Printer, Receipt Printer, Slip Data Printer and more..
Terminal printer TP-832 realizes versatile installation possibility - you can put it on the counter vertically or horizontally, or even on the wall! Terminal printer TP-922 with dot matrix head realizes versatile installation possibility - you can put it on the counter vertically or horizontally, or even on the wall! Ethernet connection enables easy installation and faster communication. Terminal printer TP-932 realizes versatile installation possibility - you can put it on the counter vertically or horizontally, or even on the wall! Send mail to custserv@rhumes.com with questions or comments about this web site. All company logos are registered ® or copyrighted © trademarks ™ of that company. All rights reserved.